One of the many benefits of our recent survey was to ask listeners what they’d really like for us to talk about, and plenty of you requested tips for getting new gamers into the hobby. 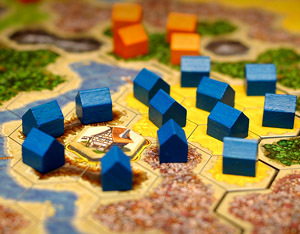 We’ve responded with a great episode on how experienced gamers can best evangelize to those new gamers, either in your Friendly Local Game Store, or amongst your less-experienced friends and family. Hopefully you’ll all find this guide to growing new gamers helpful as we all work to build upon this great hobby! 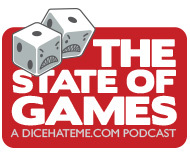 I am attempting to reach out to the folks who do the “State of games” podcast but don’t see a direct link. I am Nathan with Cosmic Wombat Games and also am a member of the League of Gamemakers (www.leagueofgamemakers.com). I enjoy listening to the podcast as I get the time to do so, and not too long ago listened to the one about expansions. I thought this was a unique approach and thought the information shared was insightful. I wanted to know if you would allow me to use the structure and bits of content from that podcast as a basis for a blog post for the League? Nathan – Thanks for the comment! I just sent you a direct email. Glad you’re enjoying the show!